Spend a day on the farm! Hang with the horses and sit with the chickens in Farm Animals. Kids will learn about the life of farm animals and find out interesting facts of farm life as they complete different craft activities, puzzles, and learning games. Each page has clear, engaging photographs with clear text and simple step-by-step instructions for young readers to follow along with as they complete each DIY craft. 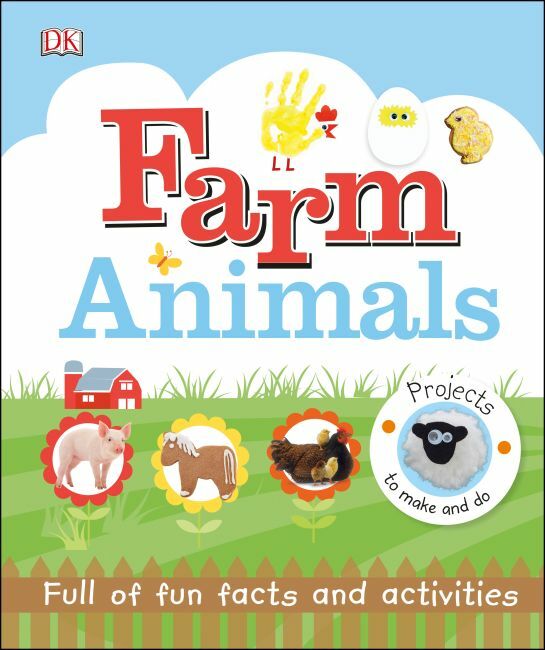 Farm Animals blends facts for kids with fun crafts, making learning fun and filling long summer days with activities.